Despite knowing Pablo Escobar met his demise bare footed – it doesn’t dispute the fact there are some positive lessons to be learned from the heyday of ‘The King of Cocaine’. With Narcos second season hitting our screens soon, we’re reminded of the incredible success that Pablo’s business achieved. Sure he was locked up in prison for years and met his demise bare footed after spending most of his life on the run – but the business that he ran was an undeniable success. 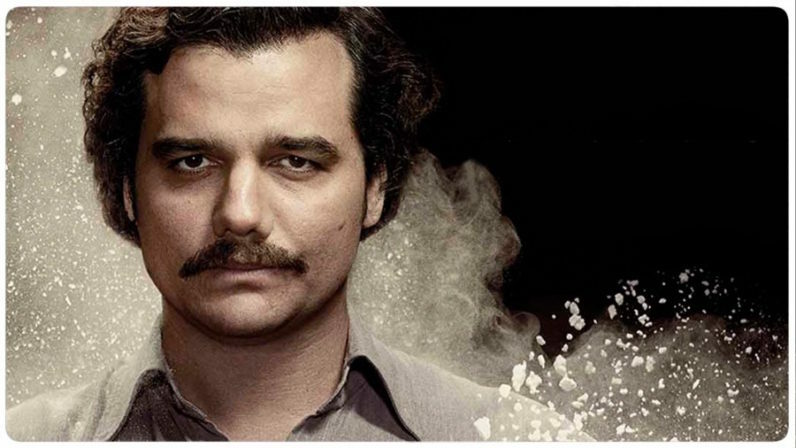 Here are six tips from the Medellin cartel leader you can apply to your digital agency. Pablo was a lowly career criminal in the early days, learning how to buy and sell contraband on the streets. Eventually finding his way into drugs, he initially flew his own planes when establishing his early cocaine networks. What does this say about the man? The man had a strong DIY ethos. He got to know the ropes from the ground up, making mistakes and learning from them as he went. There’s a first mover advantage to be had in both digital and narcotics. People expect agencies to bring new thinking to the table. The risk of failure is always present when venturing into new territories, but trial and error is the only way to stay ahead of the pack. An agency can never satisfy everyone everywhere, but as long as we keep ourselves on a track where we learn and feel passionate about what we do, good things will follow. El Patrón cohorts could earn a lot depending on how much they smuggled (read: performed). There were no limits set on this financially or otherwise and he loved to entertain his trusted confidants at the Hacienda Nápoles with all the perks that entailed. Your agency should incentivise your employees to do better too. Given our slightly more limited means we need to look beyond money. You should find out what drives your people, then try to support and enable that. It goes without saying that you need to create a culture where people actually want to come to work. You should also let people know (and feel) when they’ve done well and give feedback when the direction is lost. Finally, lead by example. Pablo did. You might want to take a slightly different approach though. Escobar did a lot for charity. Much of what he did had an anti-oligarthic tone. He revitalised sectors of the Colombian government that had let his people down, set up newspapers and sports clubs, built schools and hospitals. This got the people on his side, enhancing his power. Quite simply, doing good is good for business. It boosts morale, keeps you grounded, and allows you to view things from alternative perspectives. And, like most successful businesses, profit is the end result, not the starting point. Create a good product and deliver a great service and the money will follow. Invest in your future and your staffs instead of putting your hand in everyone else’s pocket from day one. Remember where you came from and don’t forget to give back. I am by no means not necessarily advocating plata o plomo, however, you should be aware of what your competitors are up to. The issues they are facing may save you valuable time and money in the future because they have made the mistakes first and you can learn from this. That said, don’t be blinkered and solely focussed on them. Be creative and take a broader picture. Pablo was a trailblazer. He spotted a gap in the market and was quick to react to the burgeoning demands of the North American consumer, developing new routes instead of merely peddling his wares inside a saturated South American marketplace. Note too, that the best ideas are often found in unexpected places. Cocaine itself wasn’t on the market until someone discovered its value beyond what its inventor, Albert Niemann, had in mind. Keep an open mind and you might just stumble upon a great idea that’ll take you forward. Root it deep in your crew and it’ll be hard to replicate. That way you can keep ahead of your competitors. OK, maybe we are segwaying into Breaking Bad territory with this one, but keep performing and people will talk. Fail and they’ll talk even more. You can stay anonymous within the larger public, but you absolutely need to create a brand with traction among those you need. When people and product change, the only thing you have is the name on your door. Don’t forget Pablo provided a service. Yes, he made the product as well, but his real breakthrough was serving the US market reliably and with enough quantity. It’s estimated at the height of his trafficking he was supplying 80 percent of the cocaine smuggled into the US. You’re in the services business too, so you might as well take the service bit seriously. Being busy is never a reason good enough not to be nice. Take care of those who put the butter on your bread and listen to them. It’s surprising what can be learned by giving the floor to others once in awhile. And when you are going about your business, get feedback and respond to it.